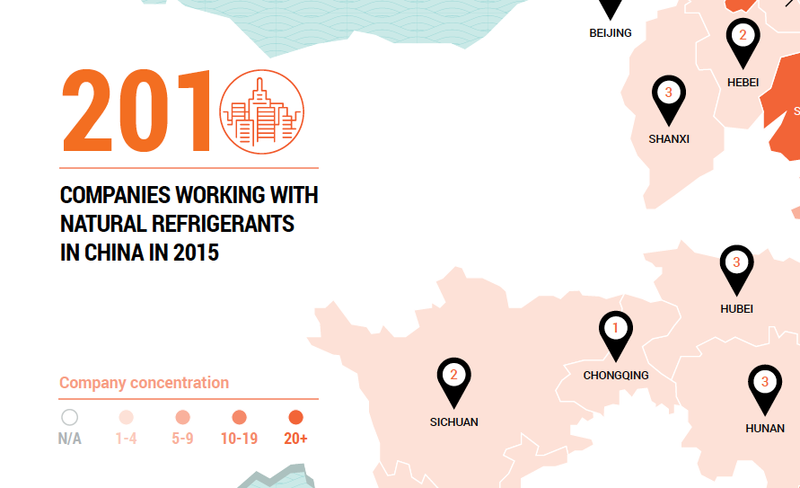 China is a land of opportunity for natural refrigerants as sweeping policy reforms clear the path for natural refrigerants to claim a stake in all major sectors. 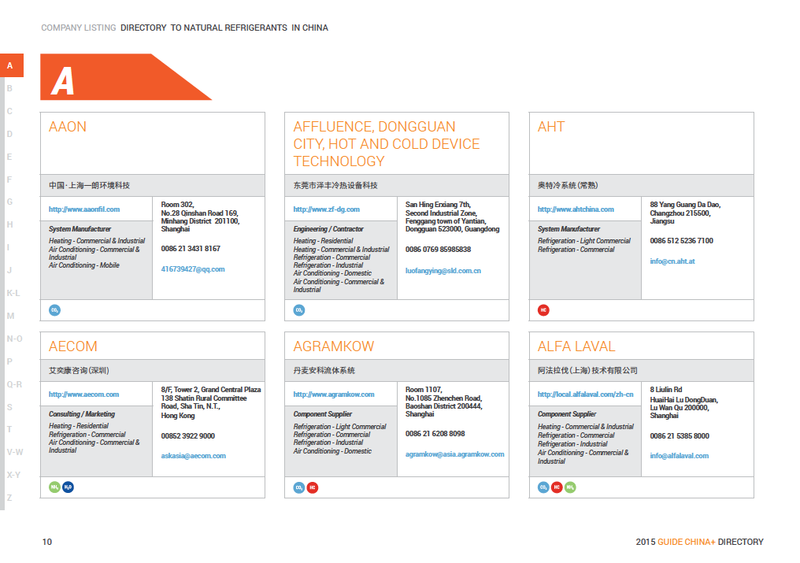 The GUIDE+ Directory of Natural Refrigerant Businesses in China 2015 serves as a clear overview of where major activity is ongoing in China with regards to natural refrigerants, as well as direct information on who is working on which refrigerant and to what capacity. The map shows the distribution of 201 companies across China by Province. A brief analysis about the Chinese market complements the map. With 15 years of experience in the HVAC&R sector, shecco's Market Development team provides tailor-made market and policy analysis around sustainable refrigerants and technologies to its partners worldwide. Experts with backgrounds in economics, international relations, environmental management and law provide research and consulting services to corporations looking to better understand trends to affect their business case, expand their presence in new geographic markets, find partners and prospects, and capture new business opportunities. shecco's Market Development team is the publisher of the series of GUIDE reports about the market potential of natural refrigerants in key geographic areas or application sectors, as well as the GUIDE+ series providing in-depth analysis of policy and business trends. Data and networks used by shecco's MD team are taken from "sheccoBase" - a global database with constantly growing data points in the HVAC&R sector, the end-use industries, policy sphere and research community.